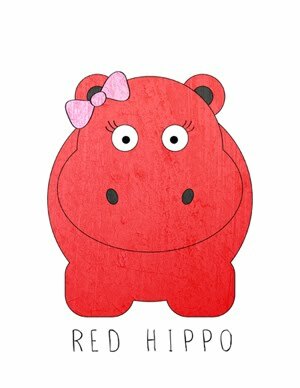 Red Hippo: are you content? some days, as i'm driving or when i'm watching my husband watch tv, i think…'how can life get better?' i am so content. the thing about contentedness is this: some days are great, some days are bad, some days i want stuff. but overall, i would not change anything about my life. there are absolutely things i need to work on. i really want to lose that extra weight that's lingering around my bod, and i would love to have a bigger, more luxurious couch, oh, and a bigger savings account would be nice. all of these things will come, in time. the stuff that won't change? my family, my friends, my serenity…those things are so magnificently great. i mean REALLY great. what makes someone content? the dictionary defines content as; satisfied with what one is or has; not wanting more or anything else. i've struggled with contentment my entire life. in various avenues, it's always been nearly impossible for me to be satisfied. i always wanted another friend, another drink, another bite of ice cream, another pound lost. i am someone who always wants more. what i've come to understand is this: wanting more is less about the actual 'thing' and far more about my state of spirit. when i am in a bad spot, a stressful spot, a sad spot i go for 'things' to make me feel better. when my family was waiting for the final phone call to tell us my dad has passed, i was online shopping. when i was driving to the hospital to have easton, i was online shopping. before leaving for a long trip, i was frantically calling every single store in the bay area that sold Toms…i wanted a red pair (now, they're everywhere). understanding my desire to look outside myself for gratification has been the key to unlocking the potential to look inside for fulfillment. i know that i will always need 'things.' i can't go through life without getting a new pair of shoes or buying bedding. but what i can do is look around and know that everything i really need is already in place. my spirit is the first priority and i will never have a healthy soul if i'm continually looking outside to fix what's on the inside. are you content? have you always been? or like me, do you need to work on being content on a daily basis? for me, it takes work. but the work is so worth it. i really love my life. mama to a seven month old. portrait, 20 & 21 of 52.